Over the last two months, I’ve been visiting several UK schools to see how they deliver science subjects. From an inner-city secondary school in Nottingham to a primary school in the heart of London, I’ve been fortunate to experience how learning outdoors brings excitement, opportunity and love for nature. Through hands-on experience, it also brings better understanding of science subjects – both key to protection of our wildlife and wild places. 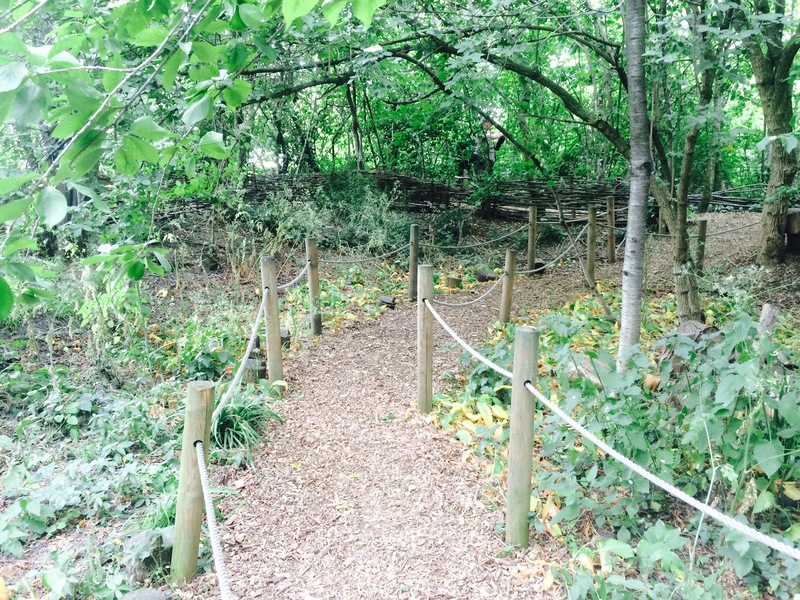 Jumping on a school’s visit to London Wildlife Trust’s Camley Street Nature Park, I’m impressed by the endless resources that make up this outdoor classroom: diverse habitats, bee hives, a pond-dipping platform, bug hotels and home-grown produce are just for starters. You have to also remember that this little pocket of bursting greenery is within a ten-minute walk from London King’s Cross, offering a much needed break from whizzing trains and surrounding construction work. Sitting on a brightly coloured mat decorated with insects, Helen asks the children who has visited Camley Nature Park before. No hands make it to the air. This is perhaps for most, the first time these children have ventured out into a green space within London. So how do they respond? 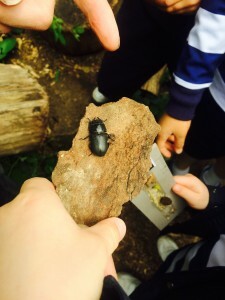 During their visit, the class explores habitats, making their way around the reserve and identify the four key things animals need in their habitat: food, water, shelter and air. They do a great job of pointing out different habitats for all sorts of wildlife, and an even better job of their bug hunt! A woodlouse-eating spider (a spider that doesn’t spin a web) and an impressive female stag beetle were just two examples of what they discovered. 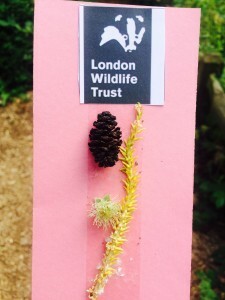 During their exploration, the children collected bits of fallen natural objects – sticks, leaves, petals and feathers are among the many jewels that decorate their memory sticks. This is just one of the hundreds of school visits that take place with London Wildlife Trust. The ideal opportunity to rummage under logs, witness a swarm of honey-making bees and shriek in excitement for seeing a millipede for the first time. This all sounds lovely, but of course, there’s a much bigger picture to all of this. Children are developing a connection to nature, a love for it. Nature is important to them. This was even clearer during a Forest School session with inner-city primary children with The Leicestershire and Rutland Wildlife Trust. Spending the afternoon on a weekly basis in a small clearing surrounded by ash, silver birch and rowan trees in the beautiful setting of Brocks Hill Country Park, the children are exposed to a playground of discovery, learning and adventure. I spend some time with Ali – a year 6 pupil who has moved to England from Pakistan. Beaming from ear to ear he finds a little birch sapling. 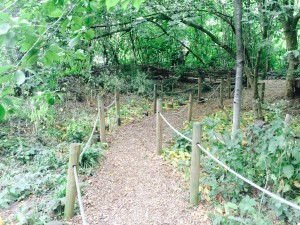 He decides to build a fence around it from twigs. “I want to keep it protected forever!” he proclaims. His instinct to preserve something meaningful is clear. We decide to name the little sapling Ali after himself and when encouraged to bring his parents to visit it, he reveals his huge lack of time outdoors. “I can’t. My Father works all of the time and my Mother is too scared to leave the house as she gets bullied for being Pakistani. This is the only time I get to come outside.” His comment only magnifies the importance of outdoor learning at school. These could be the only prime opportunities for children to experience nature in a way that can change their lives for the better. When talking to one of teachers she wells up. “See Sebastian over there?”, she points to a young lad who is running around with a magnifying glass. “I’ve been teaching him for years and I’ve never heard him talk until today.” Just as she says this, he runs up to us brave as brass and says “Miss miss! Look at this tiny snail I’ve found!” it cements the moment. Being with nature has helped build his confidence and ability to express himself. 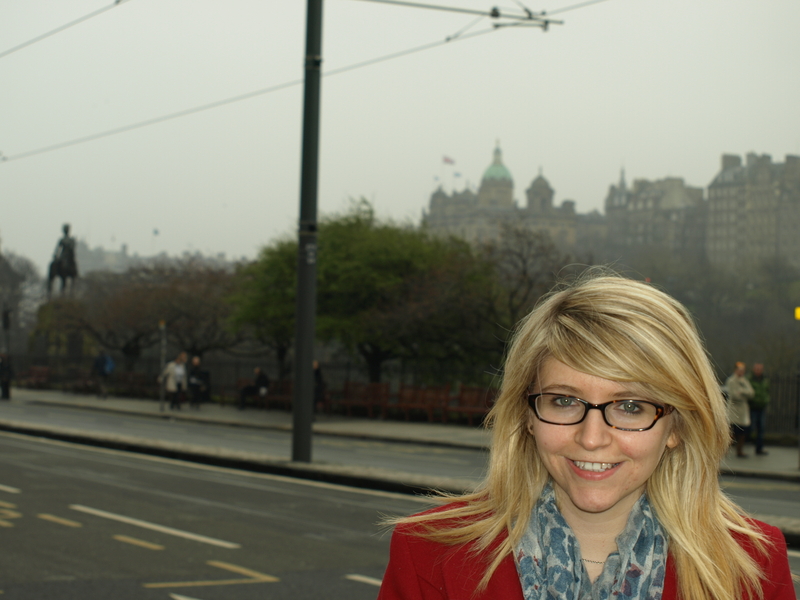 Sofia is another example – a pupil who suffers from Asperger’s Syndrome. Here, she is smiling ferociously and is focused on finding as many mini-beasts as she can. These changes are massive considering this is only their second session outdoors. “Imagine what these will be like by the end of the programme!” one of teachers comments in disbelief. Enjoying nature in the classroom was evident in every school I visited where there was opportunity to do so. From year 10’s being motivated to work harder to spend time observing tadpoles after their lesson, to children getting creative making mud pies and mud milkshakes in their outdoor mud kitchen – happiness and confidence flourished wherever nature was. These visits speak in volume. If nature makes children happier and healthier than shouldn’t we be doing more of it? Let’s create a future generation who love wildlife, and as a result, will cherish and conserve it. Support The Nature and Wellbeing Act which proposes an amendment to Section 78 of the Education Act 2002 to make caring for nature a key purpose of schooling. This will help all children leave school with the knowledge, skills and motivation to care for how we affect and benefit from our environment. It will also make them happier. Ask your MP to support the Nature and Wellbeing Act within their Party. Note: all the names of the children have been changed in this blog. There are opportunities at primary school level to engage in nature however once the children enter secondary school that is all lost and dare I say it dismissed. The focus then becomes wholly on assessments and results, term after term. There are a growing number of teenagers with mental health problems and is it any wonder when they have been put under such pressure, I see the amount of work my daughter aged 15 has and it disturbs me. Never has there been a greater need for The Nature and Wellbeing Act. Thank you for an utterly beautiful, inspiring and influential blog Emma! You hit the nail on the head more than once. It stressed the fundamentally important link children make with nature IF they are given the chance to do so. Appreciating nature often gets sidelined by the arrogant and ignorant as a twee, middle class concern. Dangerous rubbish, all kids love it and as it's free it's actually more relevant to people in lower income areas. Infuriating that in a recession we are still paying to suppress wildlife habitat in urban areas through mowing regimes that mean we have acres and acres of close mown grass - how's that good for kids? The resources are there for environmental education just misspent and misused. I loved nature as a primary school kid, couldn't get enough of it (and some enthusiastic teachers and visitors such as Emma helped fuel this passion). Anyway, true love came through in the end, no idea where Sheryl ended up but I'm back with nature now, I'm sure the early introduction was key to this.